Soft, tiny snowflakes Drift slowly down. Starlight sparkles On crystalline ground. 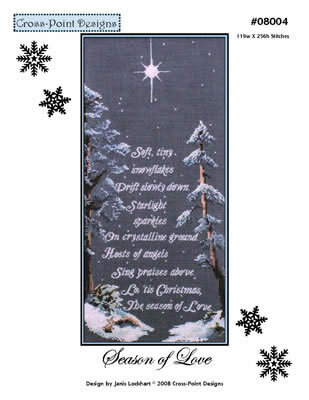 Hosts of angels Sing praises above; Lo, tis Christmas, the season of Love. 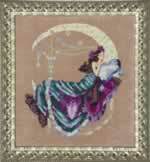 Stitched on 32ct Blue Silk linen, the finished size is 7.4" x 16".